Today would have been Walt Disney’s 110th birthday, and while it’s a stretch to believe that he would have made it to this age under any circumstances, he should still be remembered for all he created. In a day and age when children think of Walt Disney more in line with Ronald McDonald than Steve Jobs, is it any wonder that we yearn to find those small moments in the parks where we feel Walt’s touch on the things around us? Walt Disney never saw the ground breaking for his Florida project, but the ideas he had planted in the minds and hearts of those he worked with sprung forth to give us the grand Vacation Kingdom we know today. In fact, Walt Disney even inspired the name. 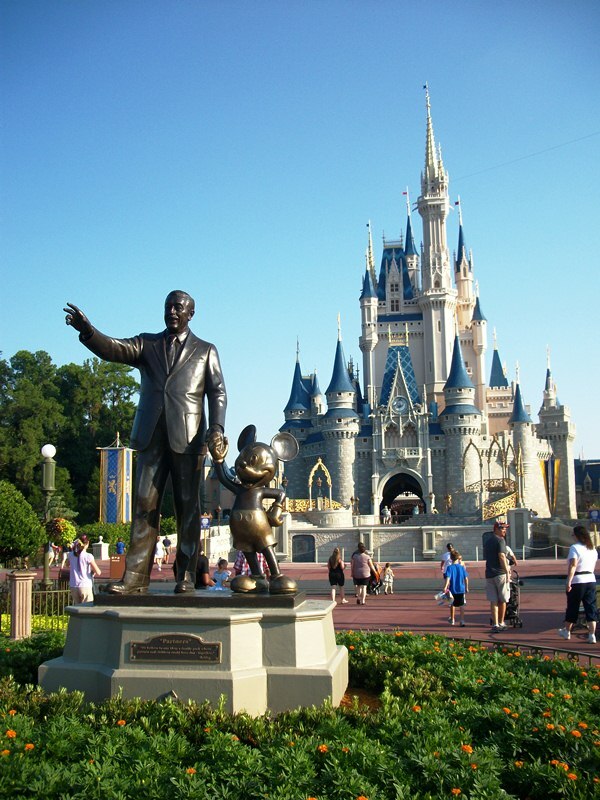 What was to be known as Disney World became Walt Disney World in the wake of his passing. The small, but crucial change came from Roy Disney so that everyone would know whose dream was being created and whose vision inspired the world guests were taking part in. Without putting Walt at the front of the name, it could be brushed aside as just another project from a huge corporation, Walt allows for the human element to be front and center. 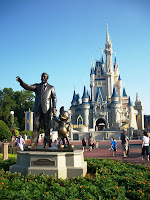 Now, with four theme parks, water parks, numerous resorts, golf courses, shopping districts and much more recreation available in Walt Disney World, would Walt Disney love everything he could see today? Probably not. But I’m willing to bet he’d be overjoyed that expansion continued and that the company tried new things. I think he would see, no matter how much we want to deride certain elements we see in the parks today, that those who crafted the worlds and attractions did so with a glimmer of Walt, an internal eye constantly enquiring ‘What would Walt do?’ The one thing Walt Disney did leave to his successors was the ability to change, to play with new ideas and have the opportunity to fail. The biggest blight that could ever befall Walt Disney World would be to stand still, be stagnant, and not reach for something different, no matter the jeers or swoons. Walt Disney has a window on Main Street, U.S.A., an engine in the Walt Disney World Railroad fleet and an exhibit bearing his name and image in Disney’s Hollywood Studios, but those are not the strongest places Walt’s presence can be felt, not to me. I feel Walt on the railroad and monorail, in Pirates of the Caribbean and the Haunted Mansion, standing in the middle of a hub and spoke park design, tumbling along on Kilimanjaro Safaris, watching anyone create a character out of pencil or even water, in the border between Future World and World Showcase, sitting on a bench and watching the smiles break across a family’s faces for the first time as the turn the corner onto Main Street, U.S.A., in Behind the Seeds, on the shores of Bay Lake, when the word Yensid is tossed about on the Great Movie Ride and in a hundred other insignificant moments. He may not have seen any earth moved, but he is the foundation upon which everything that came after would be built. Walt Disney passed away on December 15, 1966, having celebrated his 65th birthday only ten days earlier on December 5. I’m sure it surprises no one to hear that Walt had been gone for fifteen years before I was born, on December 10, 1981, a day of the year that rests smack dab in the middle between his birth and death dates. He was only a man, but he had a talent for bringing out the best in people, for seeing the world in a new light and reaching for that future and for knowing what was truly important that made him a legend. He may be relegated to a supporting role by those who have not yet met the man and all of his accomplishments, but he is so much more to those of us who have sat in awe of his world. The gifts he possessed did not leave us with his passing; they live on in each person who takes on a role within the Disney organization and every individual who has been touched by one of Walt Disney’s creations. Walt Disney’s was a life that we celebrate every time we set foot within the boundaries of the Vacation Kingdom known as Walt Disney World. Happy birthday, Walt! Great words about a great man. It always makes me sad that he never got to see Walt Disney World. Happy Birthday Walt!